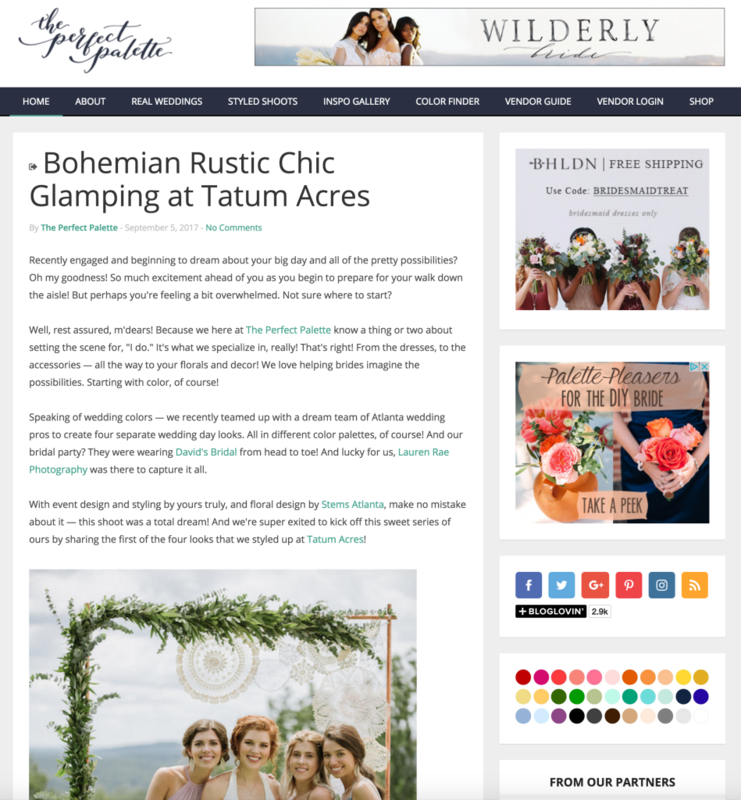 Press Highlights: Southern Living, Destination I Do and more! 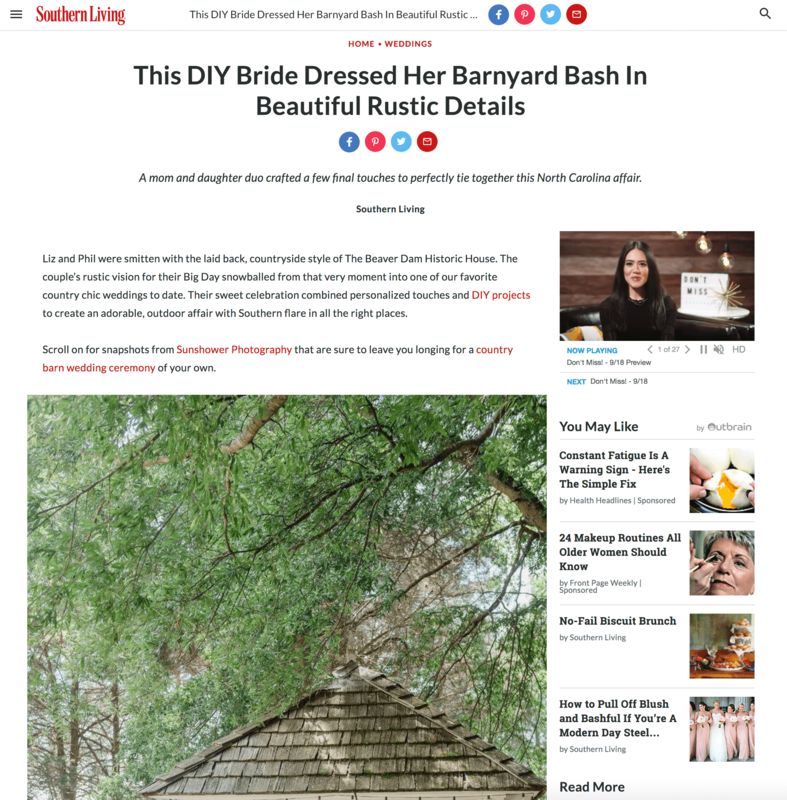 Amy Kolodziej of Sunshower Photography shot this stunning rustic wedding in North Carolina that captured the hearts over at Southern Living, and we were ecstatic to see it featured! Check it out here. 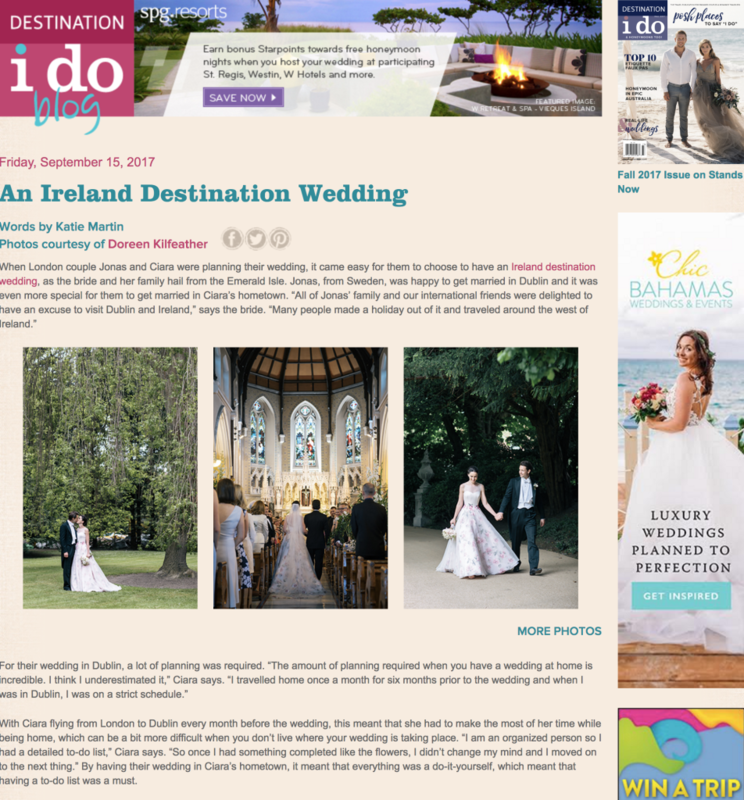 Tara Fay from Xena Productions knocked it out of the park with this beautiful Irish fairytale wedding. Destination I Do agreed and recently featured it on their blog. See it here! This drop dead gorgeous inspiration shoot that our friends over at 100 Candles were a part of had all of us gleaming with excitement. See the full feature on The Perfect Palette by clicking here! 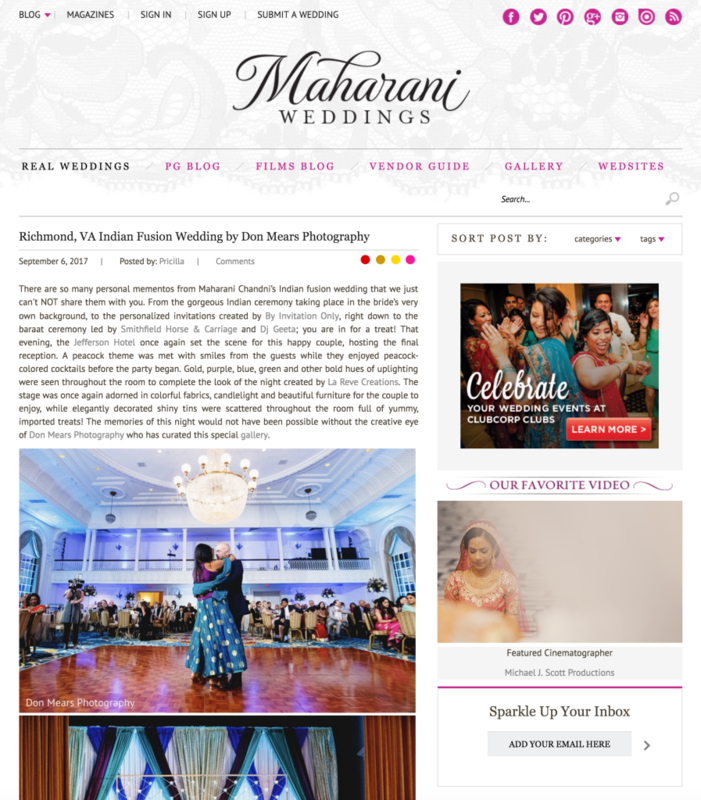 Don Mears Photography captured this fun and romantic Richmond wedding that was recently featured on Maharani Weddings– check it out here!